Supported by a team of expert professionals and modern infrastructure facilities, we have been able to put forth Data Capture Solutions Service in India. These services are carefully rendered by our professionals after thorough understanding the business specific requirements of the clients. Our professional software is comprised of highly sophisticated blends of structured data algorithms and pattern recognition techniques. We supplement these structured data techniques with cutting-edge unstructured data and text search technologies in a proprietary manner to attain maximum results. Data capture describes the strategy of gathering, planning, formatting, translating and keeping data in an electronic structure. Businesses utilize data capture expert services to alter physical information into an electronic structure in order to arrange and handle this data efficiently. In many cases OCR transformation applications can cause more damage than excellence to your popularity as a creator. What you need is something beyond OCR software; maybe someone could freshen up the OCR trash and lastly transform your information into repurposed new media formats. We maintain well experienced staff proficient in manual data entry, proofing and editing to enter large amounts of data quickly and accurately. We create validation tools based on a set of rules depending on your data to ensure 99.995% accuracy. Motorola DS6878-SR, DS6878-DL and DS6707-HC Broaden Digital Imager Portfolioto. The DS4208-HD features the rapid scan performance of the DS4208-SR and is capable of reading virtually every type of bar code used in electronic component. Fidere Engineers & Services Pvt. Ltd.
Growth in the Marketing and Human Resources research has made Forms Processing an important criterion for the success of these campaigns. To cash on in this rising phenomenon, Lalinart & Computer has garnered enough expertise in the field of Forms Processing to deliver accurate, timely and on budget services. 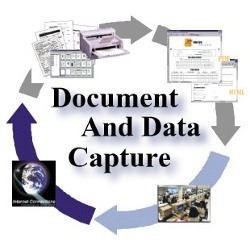 Address your document scanning and business workflow needs with our reputed document capture application. 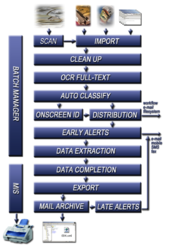 Data Capturing ServiceData Capture is a technique of gathering data without the utilization of data entry which is a input method. The devices like bar code readers, document readers, etc. are used to input data. Wherever access to collection of live data is important, data capture becomes really necessary. The input to H5 EDGE Enterprise comes from the data sources a company has identified as containing content that requires filtering or classification. The most common data sources used as input to H5 EDGE Enterprise are e-mail servers and file shares. H5 EDGE Enterprise interacts with these data sources to intake, classify and export data to a location determined by the organization. Data is the fuel that drives the businesses in the information economy. The legacy methods and tools used for data capture do not scale to meet today’s data needs. EFFORTPlus data capture technology simplifies data capture, increases the data quality, eliminates data loss, provides timely and quick access to data. - Utilize data from mud logs and lithology logs. Our broad spectrum of services also includes a variety of data entry and data capture services that are carried out by our diligent personnel. Provided at industry leading prices, these services are Forms processing, Data indexing E-books, Financial institutions, Insurance companies, Education, Content for e-learning, Online data entry.